Our new Green School committee are very busy working on the theme of Water for the past few months. 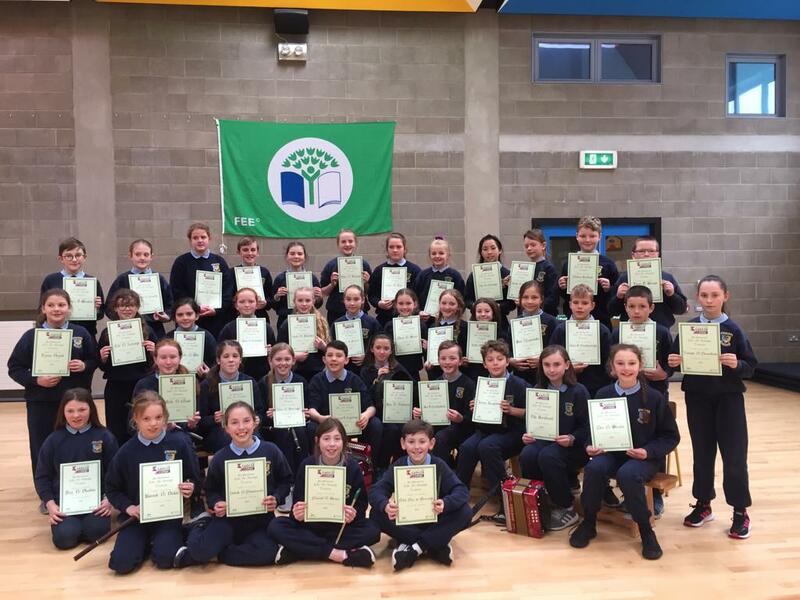 We have 14 very enthusiastic pupils from 4th, 5th and 6th class on the committee, coordinated by Ms.Laffan, Ms.Burke and Patricia. We have regular meetings to discuss lots of ideas to help us work towards getting a third environmental green flag for Carrig NS. We recently held a bin challenge in our school to see which classes could separate their waste and recycling into the correct bins every day. 3rd class and Mr. Prout’s 1st class were worthy winners and they won lovely prizes. We hope that more classes will be winners in the new year! We look forward to learning lots about water-saving initiatives to reduce waste and keep our world a little bit greener.